After three years in business, Sawyer Wood Board Company had found its niche with hand-crafted wooden stand-up paddle boards. 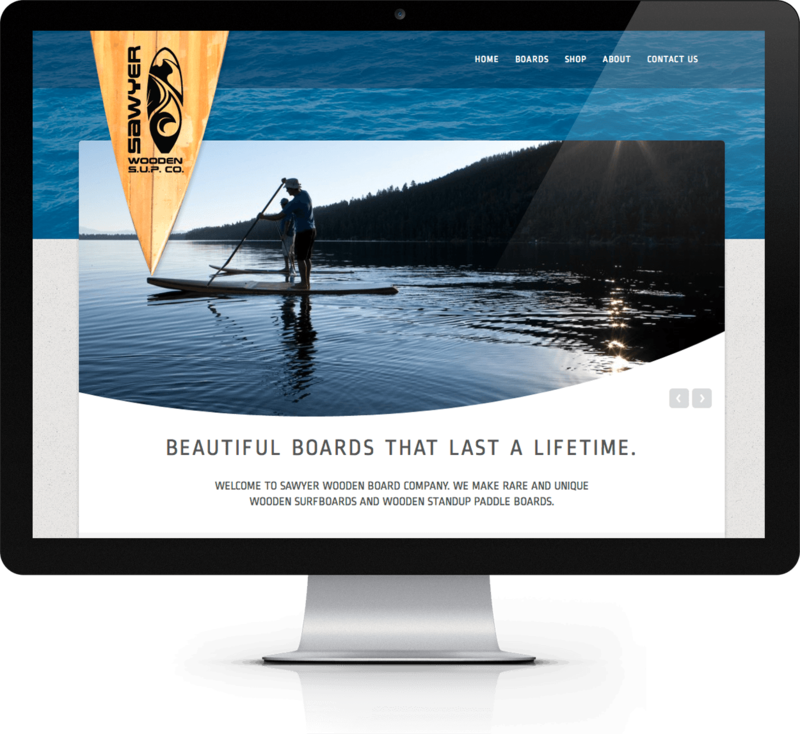 It was time for a website redesign to focus in on the quality, craftsmanship and value of these beautiful boards. We chose to do that by bringing in the precious, beautiful Lake Tahoe (where Sawyer is located) as a element in the design. I also gave it ample whitespace, improved typography, and a tight grid, all of which contribute to the exclusive, high quality feeling.